“The object of tort law is to, so far as possible with money, place the injured party in the position he would have been if no tort had been committed. It is to provide full recompense but nothing more. All cases are to be tried towards these ends.” Paducah Area Public Library v. Terry, 655 S.W.2d 19, 23 (Ky. App. 1983). Personal injury lawyers help their clients get as close as possible to the position in life that they were in prior to an accident casued by the willful or negligent acts of another person or company. 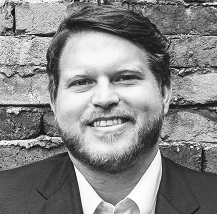 Attorney Tyler Roberts has represented hundreds of injured Kentuckians in their fight to try to get back to the way life was for them, or should have been for them, before a car accident, motorcycle accident, slip and fall accident, an injury caused by a defective product, or some other kind of accident. If you need help in your fight, please do not hesitate to contact us. Our office is located in Lexington, Kentucky, but we travel the entire state of Kentucky to fight for our clients. What damages can I recover in my injury case? In Kentucky, an injured plaintiff may recover the following in damages: (I) Past Medical Expenses – “The general rule of damages is that necessary and reasonable expenses for medical services may be recovered in a suit for personal injuries.” Paducah Area Public Library v. Terry, 655 S.W.2d 19, 23 (Ky. App. 1983); (II) Future Medical Expenses – “A plaintiff is entitled to recover the cost of future medical care where such damages are ‘determinable’ from the evidence.” Kentucky & Indiana Terminal Railroad v. Mann, 312 S.W.2d 451 (Ky. 1958); (III) Wage Loss – “Loss of time, with reference to the injured party’s condition and ability to earn money in his business or calling, is universally regarded as a proper element of compensation.” Chesapeake & Ohio Ry. Co. v. Shanks, 260 Ky. 416, 86 S.W.2d 128, 130 (Ky. 1935); (IV) Impairment of Power to Earn Money – “the jury can through their common knowledge and experience make the determination if there has been a permanent impairment of earning power, the extent of such impairment, and the amount of damages for such impairment.” Reece v. Nationwide Mut. Ins. Co., 217 S.W.3d 226, 229 (Ky. 2007); and (V) Past and Future Pain and Suffering – “A person who suffers physical injury is entitled to recover for conscious pain and suffering.” Vitale v. Henchey, 24 S.W.3d 651, 659 (Ky. 2000). That is not an easy question to answer. Each case is unique and each client has unique expectations. Complex cases that must be litigated can take years to resolve. Cases in which liability is clear and medical treatment is complete have the potential to settle quickly, sometimes within weeks, if the client is content with the defendant’s offer. We cannot promise results, but we will always be upfront with you about timelines as your case progresses. How much will it cost me to hire you as my lawyer? Nothing out-of-pocket. We do not charge any kind of fee to talk to you about your case. If we take your case, we take it on a contingent fee basis, meaning we will receive a percentage of any recovery that we obtain for you. We will also be reimbursed from any recovery for expenses that we have incurred on your behalf (i.e. court costs, payments to expert witnesses, costs of deposition transcripts, etc.). If there is no recovery, you will not owe us anything.